>>You can create your own private build agent on VM or local on premises machine. >>You can run the build agent in Docker Container on a private VM or on premises machine. My project needed Node.js, dotnet SDK 2.2, powershell, cURL, docker and docker-compose to build my project. So I have created new image using the VSTS agent image by installing these packages/dependencies on it. Login to Ubuntu machine and create a Dockerfile and add the contents to it as found here. $docker build -t <image_name> . 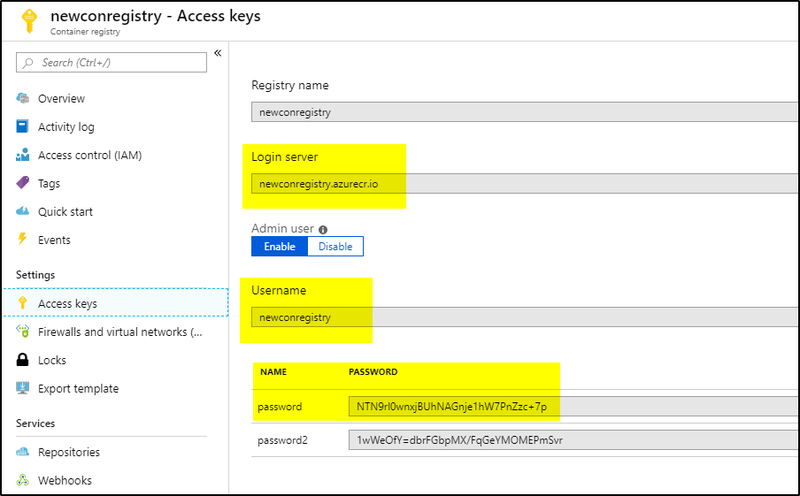 >>Once image is created, either upload to docker registry or to azure container registry. 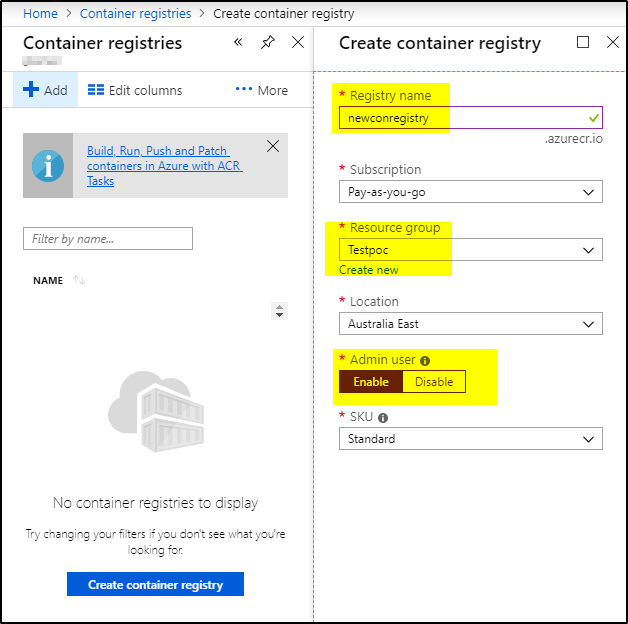 In this example, I will upload it to azure container registry. Now we are ready to start the VSTS agent in container using this image. 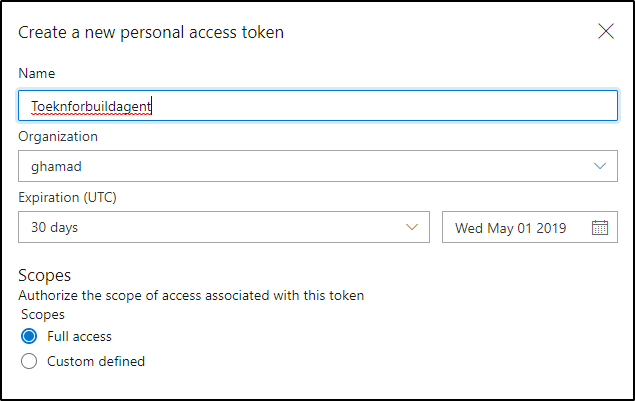 Once the build agent is started in the container, it will show up agent pools as registered. 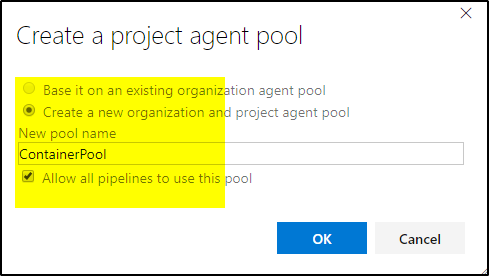 Point your pipelines to this agent pool to build your project.